Residents of Florida and Michigan can join Lake Michigan Credit Union. Check out our review to learn more. Lake Michigan Credit Union has been around more than 85 years, has more than 5 billion in assets, serves more than 300,000 customers at 49 locations, and has more than 1,000 employees. Like many credit unions, Lake Michigan Credit Union is easy to join. People who live or work in LMCU's service area (areas of Florida and Michigan listed on the website) members, or who are family members of an LMCU member, can join free. People who make a $5 donation to the ALS Foundation are also eligible to join. The signup process takes a few minutes online and requires your Social Security Number, driver's license number, and $5 to open a savings account. You'll need to fill out a short application, as well. Lake Michigan Credit Unions offers a basic savings account, three different types of checking accounts, a children's savings account, a health savings account, money market, IRA, and a Holiday club. Checking and Savings. LMCU offers a basic, no-fee checking account, and its Max Checking Account. Max Checking has no minimum balance requirement, charges no monthly fees and pays 3% interest on balances up to $15,000 (a potential $450 in interest per year). Max Checking comes with a free VISA debit card and reimburses you up to $15 per month for out-of-network ATM fees. Credit Cards. LMCU offers two consumer credit cards. The Max Rewards card offers 3% cash back on fuel purchases up to $500 per month, 2% back on grocery and restaurant purchases, 1% on other purchases, free car rental insurance, and other perks. The card offers low variable or fixed rates, updated daily on LMCU's website. The Prime Platinum Visa is a low-interest card for those who carry a balance. The card lets you transfer a balance from other high-interest cards or loans to help you reduce your interest even more. Unlike other forms of debt consolidation, balance transfers won't ding your credit score. Insurance Products. Lake Michigan Credit Union also has an insurance division, Lake Michigan Insurance Agency. This division offers a variety of insurance products, including auto, boat, life, homeowners, health and disability, Medicare plans, and business insurance. Insurance companies that provide LMIA policies include Progressive, Nationwide, Citizens, Frankenmuth, Allied, Foremost, and Auto-Owners. You can add GAP coverage to auto loans and don't pay a penalty if you repay early. You can get quotes online using the company's mobile app. If you send a copy of your current insurance policy declarations page, an LMIA agent will review your policy and send you LMIA's quote for the same coverage. Investment Products. LMCU offers 12, 17, 25 and 60-month interest-bearing certificates of deposit. Mortgages and Home-Equity Loans. You can apply for 15 and 30-year fixed-rate mortgages, a 7-year adjustable-rate mortgage or a 30-year fixed-rate Federal Housing Authority mortgage. If you're looking to consolidate debt, LMCU recommends taking out a low-interest home-equity loan or using a balance transfer with one of its low-interest credit cards. You can compare LMCU's savings, credit card, loan and other interest rates against other options by checking LMCU's website, where interest rates are updated daily. This lets you see which LMCU products offer better rates than other options you've found. Veterans, doctors, and customers in rural areas also qualify for special mortgage programs, which are explained in detail on the website. For example, qualified veterans can receive loans with no money down. Service members, vets, and surviving spouses can all qualify for Veterans Administration loans. LMCU belongs to the Allpoint network of ATMs. This lets you withdraw cash or make deposits with no fees while you're traveling. If you use an ATM often, fees can add up to hundreds of dollars each year. If you use your LMCU card at an ATM out of its network and get charged a fee, you can get the fee reimbursed if the account you're using qualifies for one of LMCU's ATM fee reimbursement programs. Lake Michigan Credit Union recently updated its website to provide more customer services. You can set up direct-draft payments from your checking or savings account to pay your credit cards, auto loan payment or student loan. You can apply for a mortgage online. You can login to check your deposits and payments and transfer funds from one account to another. You can also download apps and do some banking tasks from your phone or tablet. Business and consumer customers can deposit checks using an online app that lets you take a picture of a paper check and then deposit it into your account. However, be aware that the more technology you use to manage your personal finances, the more you put yourself at risk for hacking and fraud. Make sure you take care to secure your information and only use technology you trust. Bankrate.com gives LMCU five out of five stars for safety and soundness and a perfect score for its asset quality. LMCU's earnings score was above the national average, but its capital score (based on the total amount of LMCU's assets) was below the national average. Lending Tree's DepositAccounts.com website gives LMCU an A+ health rating, ranking it #20 on its list of the top 200 credit unions in the U.S. The website says that Lake Michigan Credit Union "consistently ranks well among credit unions for dividends paid back to members." The reviews of Lake Michigan Credit Union's customer service are mostly positive. Complaints are generally related to personal problems reviewers had, not to the specific product offerings of the Credit Union. LMCU helps its customers at its branch location or via a toll-free phone number, online chat or email option. Its contact center is open Monday through Friday from 8:00 a.m. to 11:00 p.m., and Saturdays from 8:00 a.m. to 1:00 p.m. The locations and contact center are closed during a variety of federal and religious holidays. Credit Union research and data company, Callahan & Associates, ranked LMCU #1 in Return of Members. 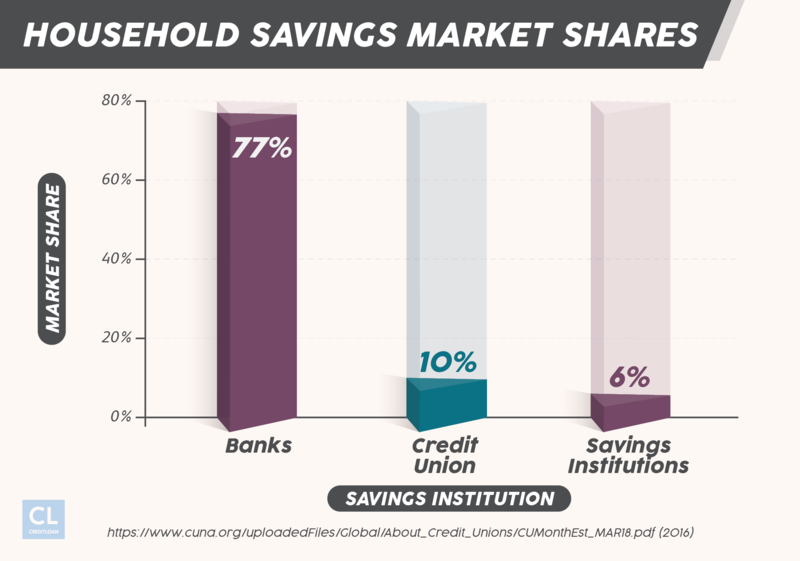 This means the credit union gives more back to its members, either through lower interest rates or higher savings rates. Lake Michigan Credit Union offers customer benefits through its Member Owner Rewards Enhancement (MORE) program. The MORE program awards members points based on their activity, which can be used for theme-park discounts, free use of non-LMCU ATMs and paper checks. New accounts can earn you discounts with Sprint and LifeLock. LMCU also has a member travel club that offers discounts on cruises, lodging, and other travel-related expenses. LMCU holds an annual scholarship program, awarding 15 $2,000 Hutt scholarships to winners of an essay contest each year. Applicants must be high school seniors who are either Michigan or Florida residents, members of LMCU, or children of LMCU members. Application information and deadlines are available on the website. Lake Michigan Credit Union has banking and credit programs for businesses. In addition, LMCU has a program for reimbursing or paying employees with a debit account. Employers who want to avoid payroll checks can pay employees by issuing them LMCU Pay Cards. The employee opens the VISA Pay Card account and can then receives wages, expense reimbursements, or other payments from the company directly into the Pay Card account. The employee can use the card just like a VISA, or at an ATM. The employer pays a $5.00 monthly fee for these debit cards, which are protected by a personal PIN number. The card has some of the same benefits associated with other VISA cards, such as a cash-back option on purchases and fraud protection. What are the advantages of choosing a Credit Union over one of the big banks? Lower interest rates. The National Credit Union Association compares credit union interest rates to commercial lenders each month. Their December 2017 comparison found that credit unions offered lower interest rates in almost all instances, with vehicle loans often half the rate of commercial lenders. Easier access to credit. Unlike commercial lenders, credit unions are more willing to work with you if you have a lower credit score. Lower fees. Credit card companies make more than 30% of their annual income from charging you cash advance fees, late fees, annual membership fees and other fees. Credit unions often have no fees or very low fees attached to their financial accounts and products. Better investment returns. Both commercial and non-profit lenders offer low-interest rates on savings products like certificates of deposit or checking accounts. If these are your only options for trying to earn extra income, a credit union will most likely pay you a bit more interest than a commercial lender. Free ATM access. Many people often assume that large banks have lots of ATMs you can use to withdraw money, while small credit unions, don't. 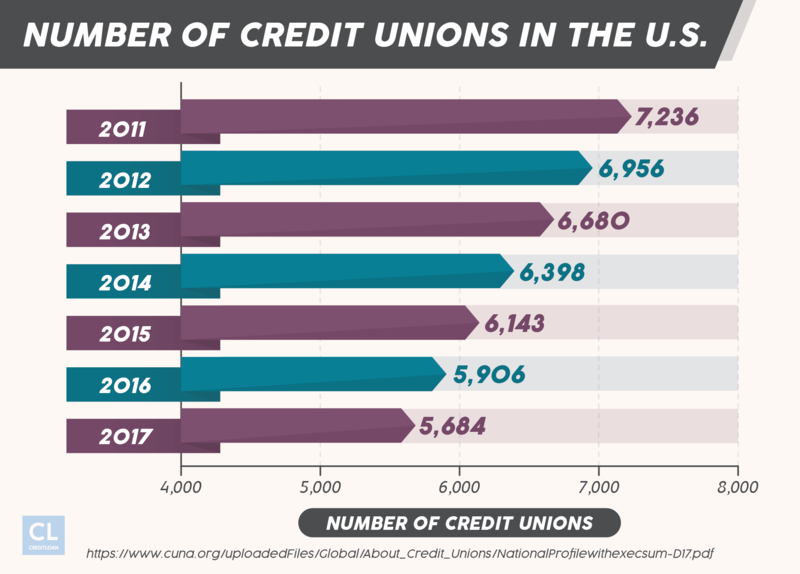 In reality, many credit unions belong to a network that gives their members free access to ATMs across the country. In some cases, your credit union will reimburse you if you have to pay a fee for using an ATM that's out the credit union's network. For example, LMCU will refund up to $15/month in surcharge fees if you have one of their Max Checking accounts. Better customer service. Belonging to a credit union is like belonging to a family. When you join, you become a member and in a way, the people who serve you also work for you. This means you'll be more of a name, as opposed to a number, when you join a credit union. Digital banking. For many years, credit unions couldn't compete with large banks when it came to online banking services, such as paying with your phone, moving money from one account to another, auto pay, or check deposits. However, that gap is closing fast, and depending on your credit union, you might get all of the online banking tools you want. Yes, but membership is open to pretty much everyone. People who don't live in LMCU's service area can donate $5 to ALS and become a member. Unlike banks, credit unions are non-profits. They pay no federal or state income taxes. Any profits they make are returned to their members in the form of reduced interest rates on credit cards and loans, or higher interest rates on savings accounts. 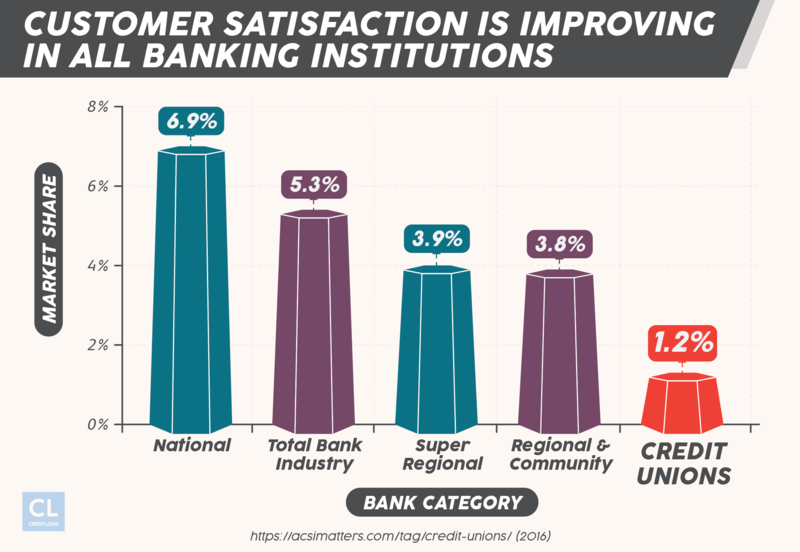 Do credit unions offer the same products as banks? In most cases, they do. LMCU might have different credit card offers and members perks, but you can get all the basic checking, savings, loan and credit card products a bank offers. Yes, and LMCU has recently updated its online banking tools and apps offering more access to your account. Yes, Lake Michigan Credit Union insures your deposits up to $250,000 per depositor. LMCU is insured by the National Credit Union Share Insurance Fund. Is LMCU for personal or business customers? Both. LMCU offers a wide variety of products and services for consumers and businesses. We recommend Lake Michigan Credit Union for either a single financial product or as your main financial institution. We recommend LMCU based on its stability ratings by BankRate.com and DepositAccounts.com. We also considered LMCU's mostly positive customer reviews and its wide variety of competitive or superior financial products. You might find a better credit card or life insurance policy or checking account with another financial services provider. However, working with one company like Lake Michigan Credit Union gives you a stable base for managing your personal finances. It also gives you access to a wider variety of perks and benefits. Have you ever checked out a credit union to see how it compares with the current accounts you have? If not, you might be paying way more in interest than you realize. Over the years, this can cost you tens of thousands of dollars. Do you use Lake Michigan?